Taking care of your teeth from the day they grow out of your gums is much more important than many people think. It’s not only about upholding their appearance, but also the subsequent costs of not doing so. Dental fees can become extremely expensive when major work needs to be done. While products such as floss, mouth wash and toothbrushes may seem unnecessarily expensive, a lifetime supply of everything you need to take care of your teeth is nowhere near as expensive as having to fix them when they need filling, fixing and ultimately replacing. It’s not only sugar that deteriorates your teeth. Acidic food increases the chances of your teeth forming cavities and decaying due to the way it breaks down your tooth enamel. Naturally, it would be impossible to completely abstain from eating acidic foods but watching your intake will go a long way in ensuring you’re not consuming too much. Just like every other part of your body, your teeth will benefit from a natural, wholesome diet rich in vitamin D, phosphorus, magnesium and of course, calcium. The right amount of fruits, vegetables, meats and dairy will provide these nutrients. Check out ideahacks.com for advice on just what type of food is necessary for a healthy diet. Whether its bleeding gums, persistent pain, excessive sensitivity, discoloration or anything that seems unusual, immediate treatment is better than waiting to “see what happens.” Consult a dentist regularly, even if your teeth seem healthy. There may be an internal issue that needs treatment. A common misconception is that brushing alone reaches far enough between your teeth to warrant avoiding dental floss. This is false. Even the most expensive toothbrush is not nearly as effective at removing plaque and debris as basic floss. Pick up a pack, find out how to floss effectively and get to it. Your teeth will thank you for it. Sugar free and Xylotol gum are great alternatives to standard sugary gum that actually benefit your dental health. In the case of completely sugar free gum, it stimulates saliva build-up, which in turn helps keep your teeth clean. Xylotol on the other hand works by fooling the bacteria in your mouth into thinking it can eat the sugar alcohol it contains. But the bacteria can’t, which causes it to starve to death, subsequently removing it from your mouth and reducing tooth decay. This means utilizing the toothbrush in varying angles and changing between vertical, horizontal and circular motions. Be sure to pick up a brush with a tongue cleaner on the other side and make use of it whenever you brush your teeth, which should be twice daily. Whether your teeth are blindingly white or in need of some TLC, ensuring they’re in tip top shape until you’re sitting on a rocking chair is not as difficult as it seems. 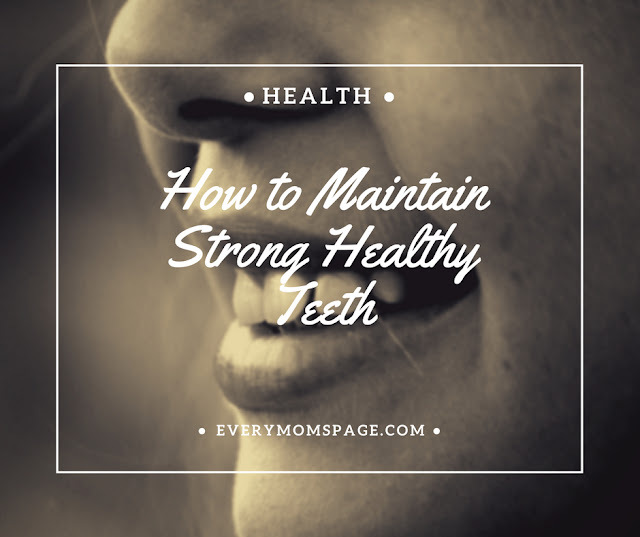 Simple daily maintenance and attention to detail is all you need to maintain a strong and healthy set of teeth.